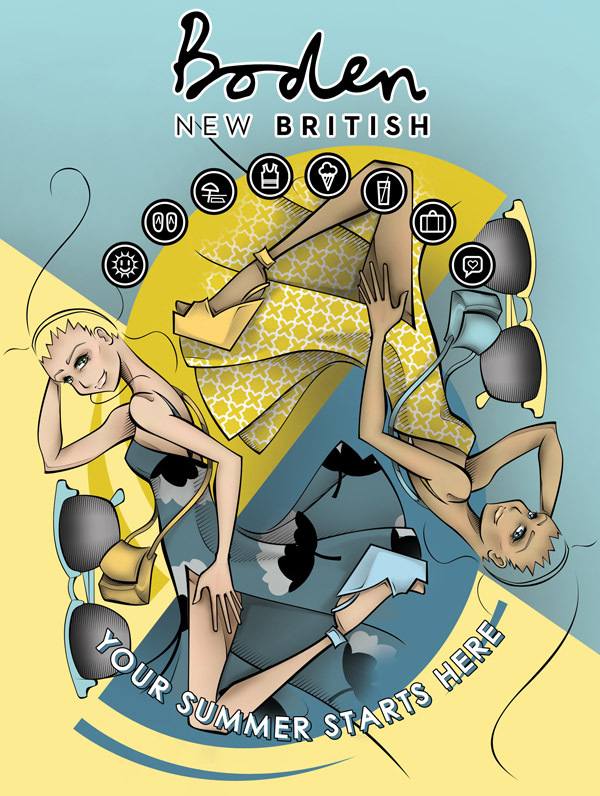 UK fashion retailer Boden invited artists from around the world to create a completely original digital front cover for their Summer 2016 catalogue. 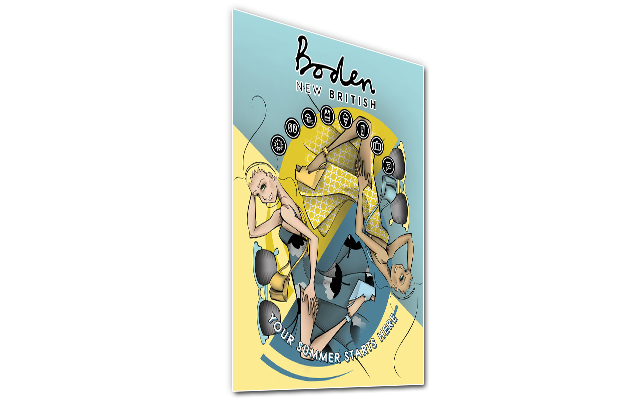 I created a fresh and dynamic cover for Boden’s Summer 2016 catalogue. To make it relevant to the digital age, I included icons that look like emojis. This artwork celebrates the freedom and the excitement of the summertime!